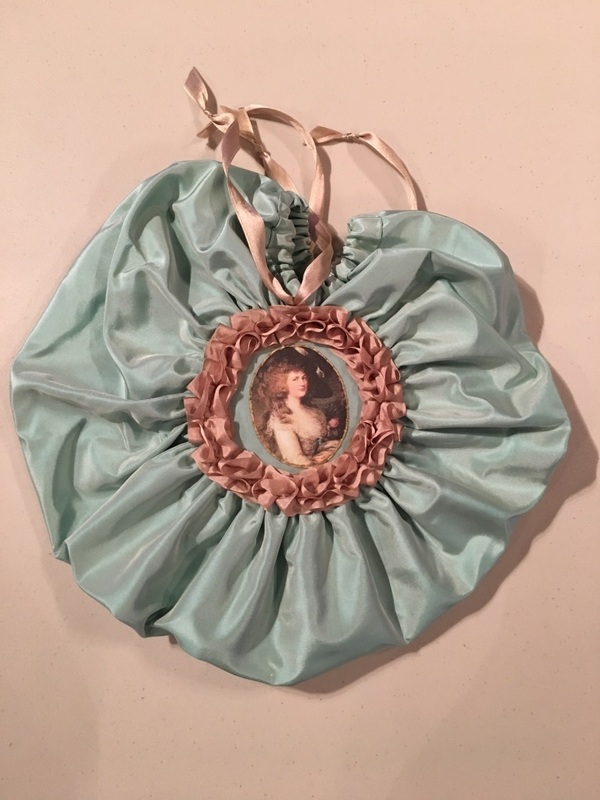 Aqua silk taffeta circular reticule with Georgiana, Duchess of Devonshire fabric portrait and "B", with champagne silk ribbon trim and champagne silk satin ties! 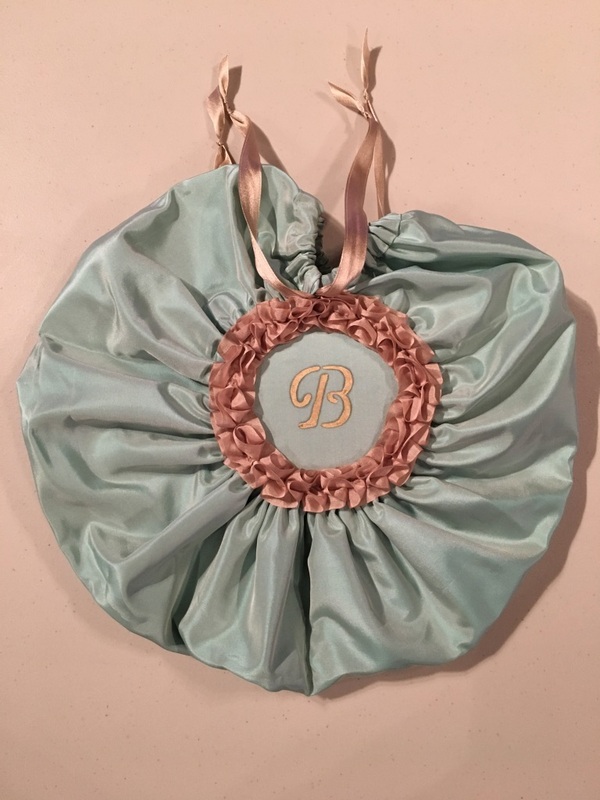 It was sewn mostly by hand, with machine sewing on the long seams only. 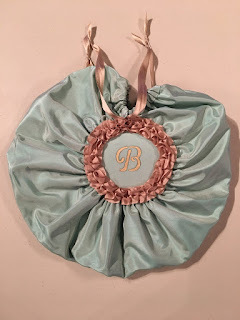 I added trim, fabric portrait and "B" to pretty it up. Thanks Catherine & Bunny for a great class, lots of fun!